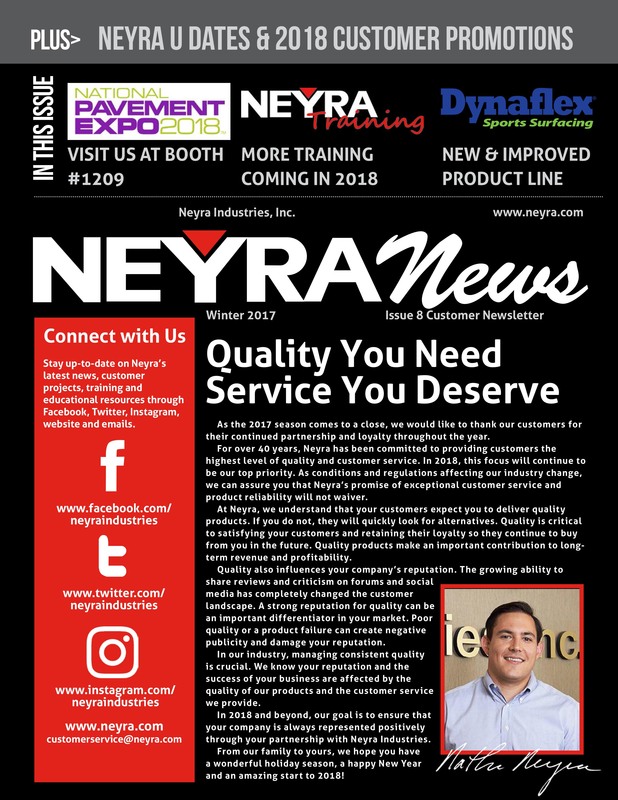 The latest issue of Neyra News, a customer-focused publication that highlights company updates, industry news and business development tips and training, has been published. The Fall-Winter 2017 issue features articles on Neyra’s latest Neyra University training opportunities, NPE event details, new and improved Dynaflex product line, customer 2018 promotional schedule and much more! In case you missed it in the mail, click here to view the Neyra News Fall-Winter 2017 – Issue 8.